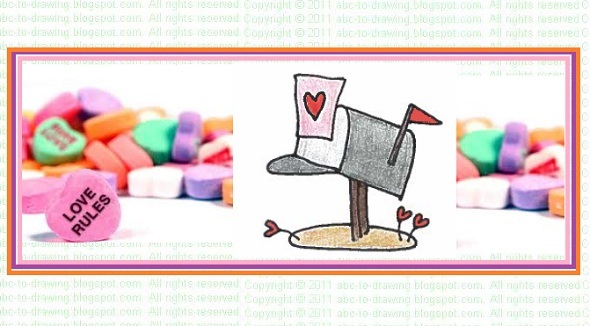 What did the stamp say to the envelop on Valentine's day? 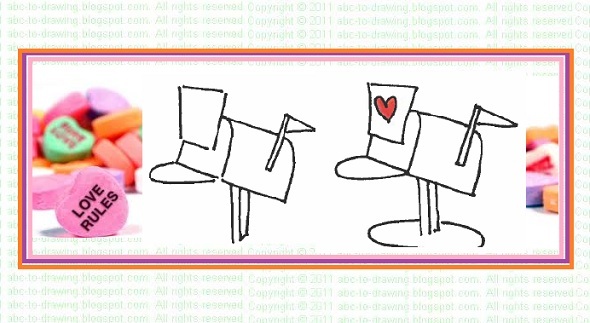 Lets draw a Valentine Mail. Start by writing a slanted I and an upside down U on it. Write C as in second picture. Now we write sleeping slanted Is. Join the two Is with half of upside down U. 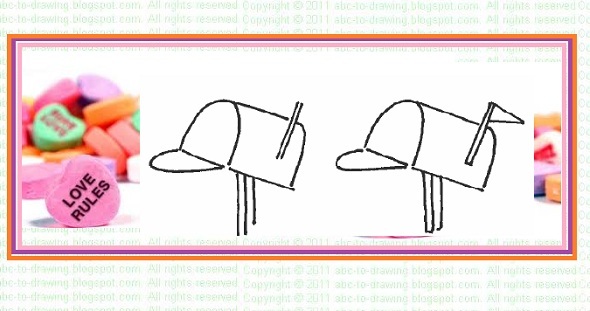 We write 11 to make flag post and three 1s to make mail stand. We make flag by writing V.
We write 11 and then join the upper and lower ends with sleeping Is. We draw a heart inside this mail. We write O to finish making mail stand. Color and decorate. Our valentine mailbox with a cute valentine letter is ready!